I’m so sorry.I forgot it.Miss Aya Takagi is selected for Art Award Next # 1 that Mr. Hibino was won.Miss Takagi has won in the Tokyo Wonder Wall Award also, and I wonder when she holds an exhibition soon.Miss Takagi, please give me that’s information by all means.Miss Emiko Aoki is selected at the same time, too.Mrs. 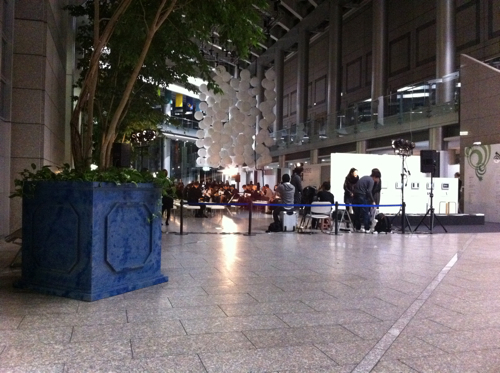 Sakamoto was hold the exhibition that the art gallery plans. And everybody that was hold the exhibition in our gallery do their creative activity so positively.